Relentless Roasters started in 2013 as a local wholesale coffee roaster, and now the coffee trio has become Deco Coffee Co. with a new cafe and roasting facility. The bright Instagram worthy spot features a walk-up counter, freshly baked pastries, a full menu and a sit-down café which serves breakfast, lunch and brunch by Chef Carl Guillaume who most recently worked at Fontainebleau Miami Beach. The Deco Coffee Co. menu boasts breakfast and lunch items like open-faced toast on Zak the Baker bread. Threefold Cafe fans will recognize their favorite avocado toast. “Hash Tag This” is perfect for a hearty breakfast. 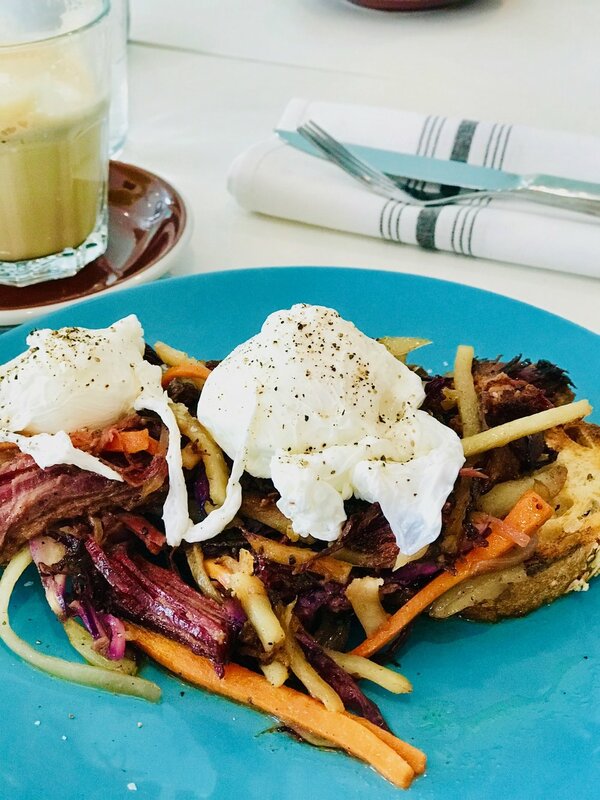 This dish features house corned beef brisket, carrots, potatoes, onions, cabbage, ginger, topped with a poached egg all a top freshly baked toast. 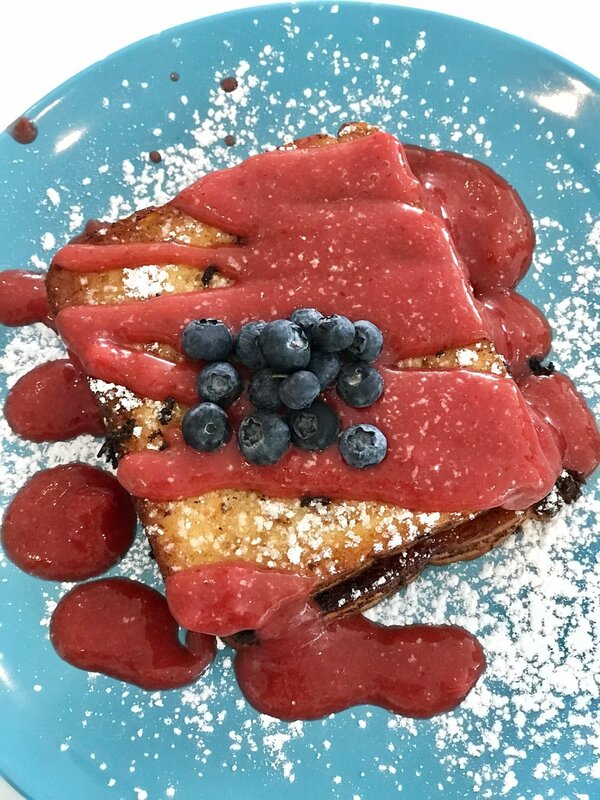 The banana French toast is perfect for those who are looking for something sweet. It’s stuffed with blueberry filling, topped with strawberry compote and a very generous dusting of powdered sugar. 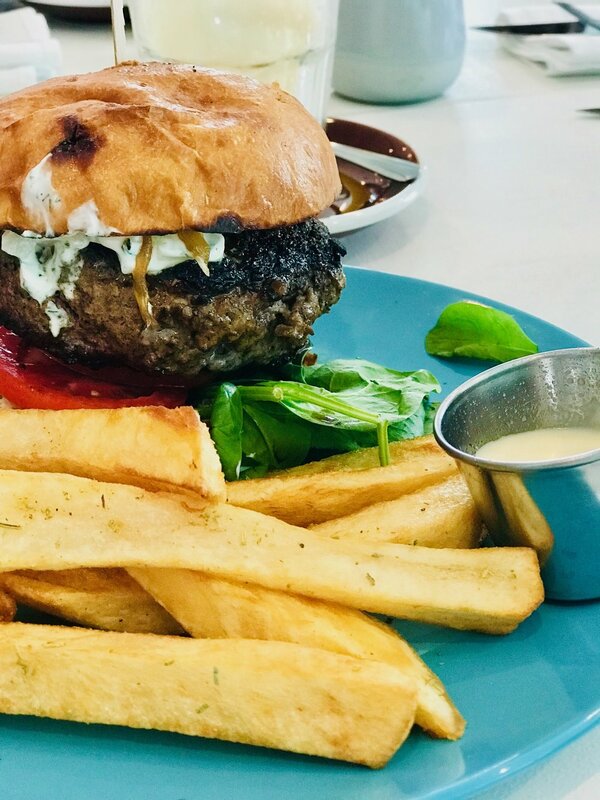 If you’re in the mood for something filling, we suggest the lamb burger, which showcases their house-made lamb patty, caramelized onions, arugula, feta, tzatziki, tomato and is served with their house-made fries. 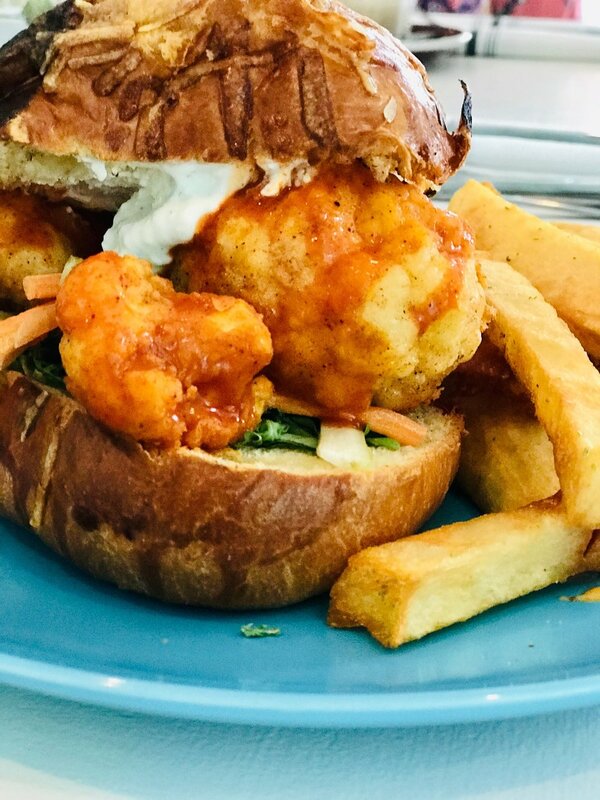 The Buffalo “Cauli” Burger is a terrific vegetarian option, and is composed of spiced and breaded cauliflower, blue cheese spread, arugula, carrots, celery, lemon, on a beautiful freshly baked cheesy bun. It is served with fries. The Spaetzle My Schnitzel is made with a rosemary spaetzle with garlic crusted chicken schnitzel, lemon butter and caper salsa. 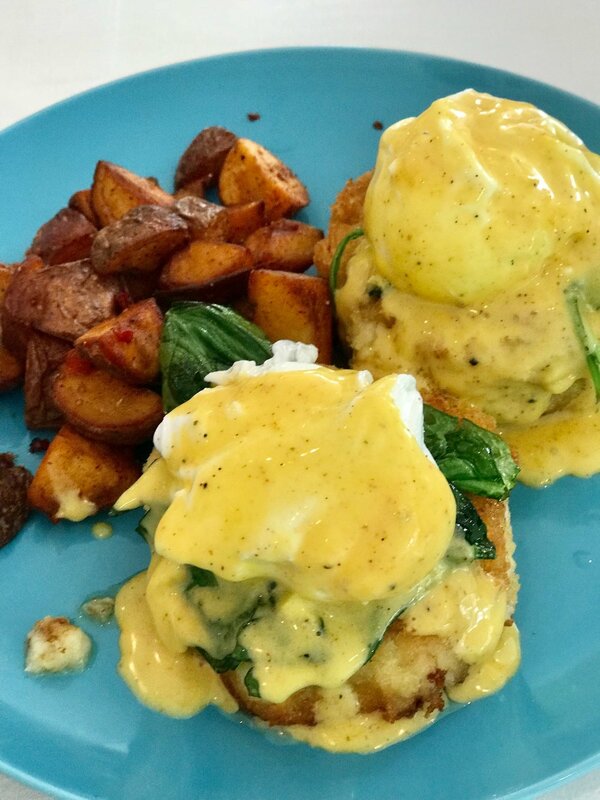 For a traditional brunch classic, we recommend ordering off of the menu and nicely asking (begging) Chef Carl to make his unbelievable tuna-patty eggs benedict. If you’re lucky enough to try this off-the-menu dish, we know you’ll be mesmerized by its creamy texture and unbelievably flavorful hollandaise sauce. Don’t forget to wash down all of the incredible menu items down with Deco Coffee Co.’s specialty coffee. Their latest bean selections include roasts from Nicaragua, Ethiopia, Brazil, Cameroon, and more. We suggest the Relentless Roast, which is an ode to their previous company and Pagauaga’s grandfather. The coffee menu also includes Deco Coffee Co.’s espresso drinks and their not espresso coffees. Deco Coffee Co. also proudly serves JoJo Tea for non-coffee drinkers. For those wanting to enjoy other libations, the drink menu also features craft brews on tap from an assortment of top breweries such as Cigar City, Funky Buddha, Wynwood Brewery, Tampa Bay Brewing, and Barrel of Monks Brewing. There’s an assortment of wines and mimosas – the standout being the guava mimosa, which is too good to just have one. 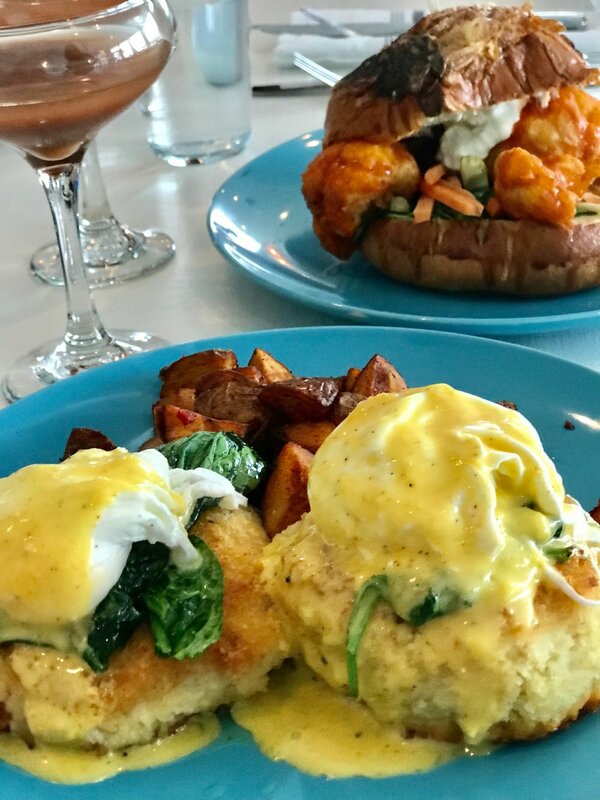 Not to worry because Deco Coffee Co. has you covered — they’re currently offering one of the best brunch deals in town on Saturdays and Sundays: an entree and unlimited mimosas for just $30. 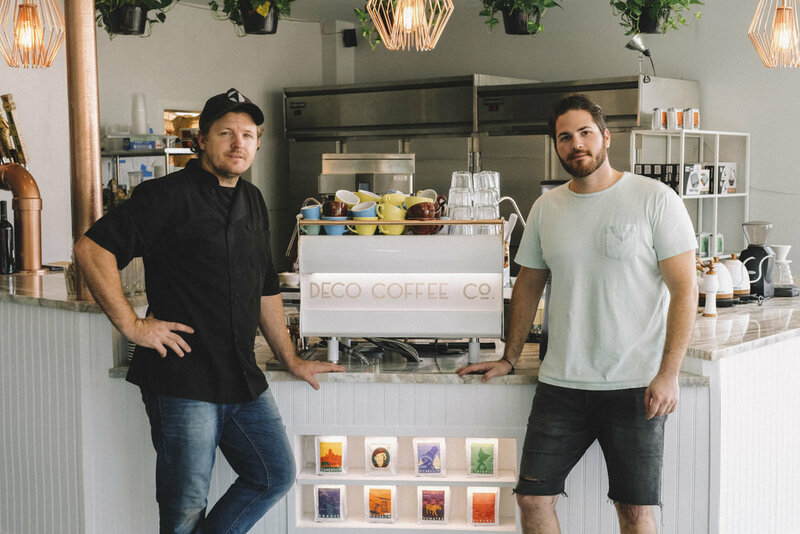 Deco Coffee Co. will continue to create new specials, promotions, and hosts monthly events such as the latte art throwdown, taking place the third Thursday of each month. Deco Coffee Co. is open Monday through Friday from 9 a.m. to 3 p.m. and Saturday and Sunday from 9 a.m. to 5 p.m.